Walker Farm has been producing its own quality Certified Organic transplants for our customers since the early ‘90s. 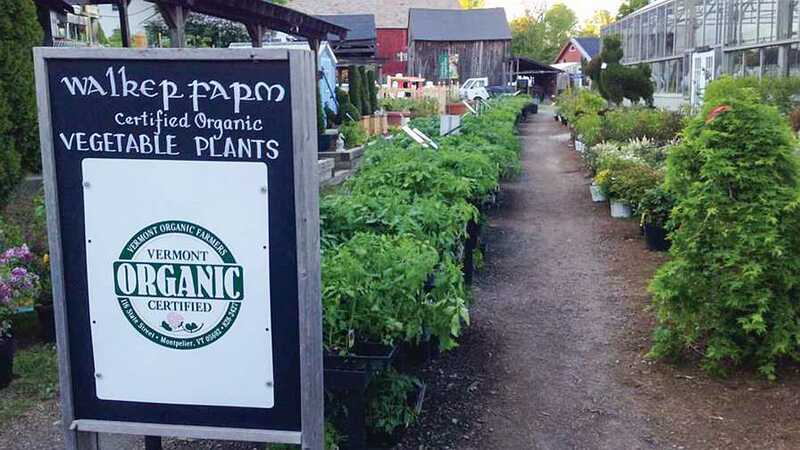 Folks come from all over New England and nearby New York because they can’t find the organic varieties they like to grow. 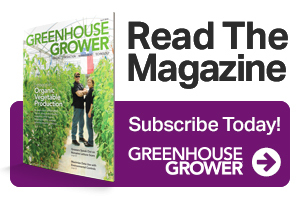 While we are not certified organic in our flower-producing greenhouses due to the quantity of non-organic rooted cuttings we receive during spring, what’s surprising to us is that more grower-retailers don’t adjust to the times and realize that the organic movement is a billion-dollar industry and growing. It’s really not that difficult to certify a greenhouse and grow organic vegetables. Many companies now offer organic mixes, and there’s new OMRI (Organic Materials Review Institute)-approved products for fertilization, pest and disease control, or biostimulant application showing up every day. At Walker Farm, we’ve done well with compost-based mixes from either McEnroe Organics or Vermont Compost. We get the lighter mixes with added vermiculite and perlite to help young roots take off quickly. Since we use mixing and filling machines, we also like to have a nicely screened product with no stones. Most of our vegetable varieties are seeded in flats and then transplanted into pots or packs. Herb varieties that can only be produced by cuttings are purchased from Certified-Organic producers. Because vine crops and some herbs like basil do not transplant well, we seed them directly into the containers. Most of the young starts are happy at 60°F to 65°F night temperatures and comfortable daytime temperatures. Our rule of thumb is if you feel good in the greenhouse, the plants will too. To help distinguish the organic packs from non-organic flower varieties, we have custom-made green 806 and 606 packs. We find the tomatoes and eggplants hold up better in a compost mix with the larger cells and do especially well in 4½-inch pots. Still, when the weather gets hot, or when rainy days require a longer holding period, we supplement with Nature’s Source Organic 3-1-1. All soil mixes for tomato starts also have Sustane 5-2-4 mixed in to help with the long-term nitrogen needs. Quick-growing varieties like vine crops seldom require any additional nutrients, as the compost mix does the job. Fertilizer applications are adjusted according to weather conditions and plant needs, but we find fertilizing lightly and more often works best for us. Walker Farm supplies its seasonal farmstand and its customers with flavorful, certified organically grown vegetables, vegetable starts, and fruit from 30 acres of carefully cultivated land. Thanks to our partnership with the University of Vermont Entomology Research Laboratory, we’ve been able to deal with pest problems extremely well. We now use trap plants, banker and habitat plants, as well as a consistent integrated pest management (IPM) scouting routine to nab the bad guys before they get out of control. Each week we scout, write down any potential or actual hot spots, and then call our IPM consultants so they can determine the good bugs we’ll need to keep the plants healthy. Although we appreciate that time spraying has gone down about 90%, occasionally a spot spray of organic material is necessary to bring an area back under control. 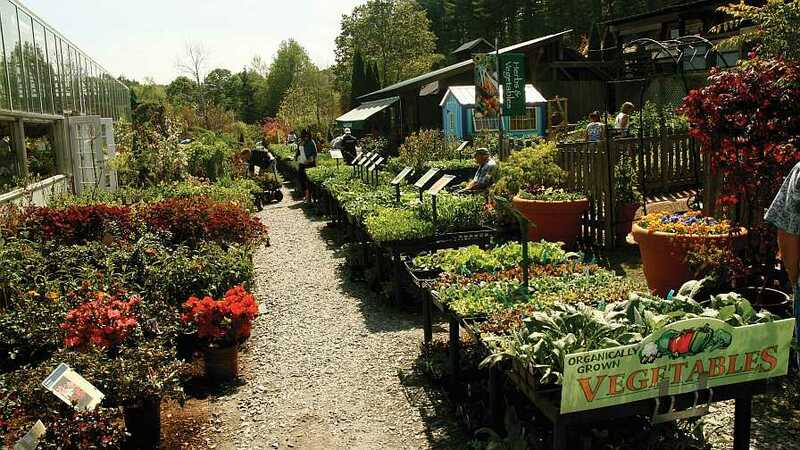 Some growers are surprised that a small garden center in Vermont has to hire law enforcement to help with traffic control on busy May weekends. We’re surprised that more growers don’t realize the profit potential with organic production. Jack Walker Manix ([email protected]) is the Owner of Walker Farm, a grower-retailer operation based in Dummerston, VT. See all author stories here.